What is the sharing economy? Simply put, it is a business model where you can profit from having your underutilized assets borrowed or shared by others. These assets can range from transportation vehicles, rooms in your house, or spaces in your office. In 2014, a study conducted by Nielsen suggested that Indonesia and the Philippines are the two countries in the ASEAN region most primed to participate in the sharing economy, mainly due to their huge population. Uber officially launched in 2011 and is one of the prime examples of a disrupting technology or a technology that disrupted how things usually work. To get a ride, people used to stand on streets to wait and hail a cab. Now there are apps like Uber that allow people who have cars to share their ride with other people. Originally, Uber only provided black luxury cars to riders in San Franciso and the price was one and a half times more expensive than a cab. Now, they operate in over 570 cities worldwide. 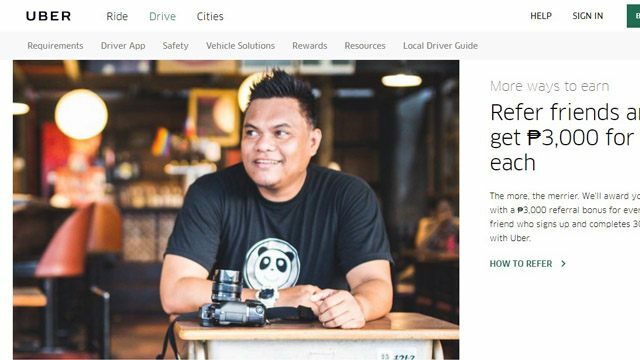 Uber says its drivers earn a minimum of Php2,000 per week, but several Pinoy Uber drivers doing it full-time said they can earn around Php7,000 to Php8,000 net a week. According to their website, Uber can also help you get a car if you don’t have one yet. For a driver’s first trip, they also get a sign-up bonus and discounts to Value Plus Auto Service, gas stations and even Platinum Karaoke. Don’t have a ride? Then you can “Grab” one. 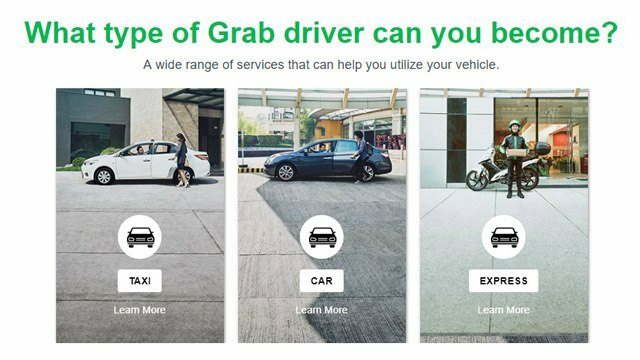 Similar to Uber, people who have underutilized cars or want to make money driving people during their spare time can sign up to drive for Grab. According to some Grab drivers, they earn around Php9,000 to Php10,000 net a week. Riders also love their reward system. Points earned after every ride can be converted to discounts and freebies from partner merchants such as TravelBook.ph, KFC, Flawless and more. Grab started in Southeast Asia in 2012 and they are currently present in six regions. In the Philippines, the company has worked with The World Bank and the Department of Transportation to create Open Traffic, an initiative that uses GPS (global positioning system) information from Grab Drivers to help officials monitor traffic safety and congestion. The World Bank hopes that the Open Traffic initiative will extend to other major ASEAN cities. The European carpooling app that is available in the Philippines, Malaysia and India doesn’t pit itself against the likes of Uber and Grab. Wunder cars have determined and existing routes and the owner of the car doesn’t profit as much compared to other ride-sharing apps. However they do earn enough to cover the cost of gas for a ride. On the other hand, riders would pay around Php60 to Php70 for a 15km trip. According to Wunder executives, there are over 20,000 cars in Quezon City alone. Many professionals, or about 65 percent of these car owners, would drive by themselves. While Grab and Uber made riding more convenient, there are still lots of empty seats underutilized which Wunder hopes to address. Some locations around Metro Manila are easier to access with a motorcycle. Many riders also share that it’s faster to get to their destinations using a motorcycle compared to a car because you can easily avoid traffic. Using this insight, Angkas wants other people to share a ride with motorcycle drivers so they can get to their destinations faster. According to their website, Angkas drivers must have a valid professional license and a motorcycle model of 2010 or newer. Their part-time drivers earn Php800 daily while those working full-time can earn as much as Php1,500 daily. Cheaper than hotel rooms, AirBNB has earned a reputation for backpackers and budget travelers. Of course, some even swear that accommodations for AirBNB can be even better than a budget hotel. If you have an extra room in your house, you can have it listed in AirBNB so that it can be rented by travelers or boarders. You have the option to rent out a shared room, a private room, or your entire house. 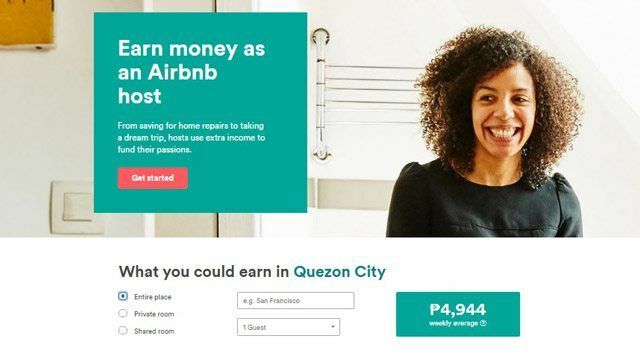 For example, if you live in Quezon City and you have a private room to spare, you can earn as much Php4,800 a week. Those who rent out their spaces are called hosts and aside from sharing a physical space in your house, some also become hosts for their neighborhood or hosts for unique experiences like touring or cooking for their guests. While some have extra spaces in their cars or houses, others have extra meeting or conference rooms in their office. Flyspaces allow you to also share that resource. When you plan to rent out your space, just go to their website and fill out a registration form or email them and introduce your business. After filling out the merchant form, you have to review the terms and conditions and sign the contract. Flyspaces takes care of professional photography of your space so that it looks enticing for potential renters. They also provide content creation and link generation for the office space you want to rent out. After you approve of these materials, your space is listed online. Some of the meeting or conference rooms can be rented for Php1,500 up to Php5,000 per hour, depending on the location and amenities included.